One of the most exciting additions to crystal sonic therapy world has been the innovation of the fusion crystal singing bowls. Fusion Crystal Singing Bowls are created with only pure minerals, gemstones, precious metals and pure quartz crystal. Quartz crystal has the ability to amplify the frequencies of your favorite healing minerals, gemstones and precious metals creating a profoundly more powerful transformation medium that can be easily experienced. The most common immediate responses noted are improved mood and a calm relaxation setting in. Quite often, those two states of being alone can take care of the rest of any healing needed. Fusion sonic crystal healing is a fast and easy way to bring them about. As with the ancient brass Tibetan singing bowls, precious metals can sing on their own without the preferred help of the fusion to quartz. Some transformative stones such as moldavite, you would never be able to hear the sound waves of, without this fusion process to quartz crystal. Fusion crystal singing bowls can give some of your favorite healing stones a sound wave voice not known before. Fusion bowls are made by first crushing these elements into a very fine powder. Through various high heat or electromagnetic vacuum processes, they become fused into the quartz crystal bowls. Fusion bowls create a much more powerful medium for working with the transformative properties of healing stones. Crystal singing bowls are so quickly transforming and enjoyed because our bodies are made up of about 80% water and water is a major conductor of sound. Because of this, crystal sonic therapy is heard and felt by the whole body, not just the ears. Every cell in the body is being affected by the sound waves as they penetrate through ones entire being. 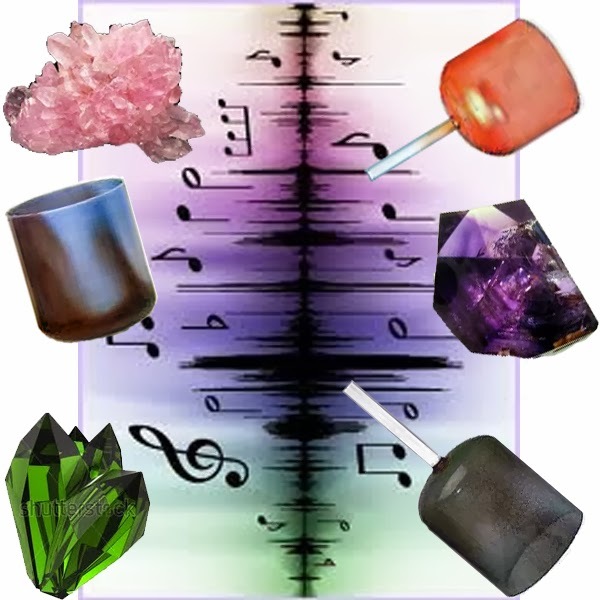 Crystal sonic therapy is not just for use directly on human beings. These modern innovations inspired by ancient sound healing tools can be used on pets or plants and even to clear homes, work spaces and cars of any negative or dissonant energy that may have built up and stagnated into the space. Even when not singing, these bowls contribute beautifully to any décor and they house a frequency that can neutralize any other harmful ones bouncing around a room as they pass by. Everything in our Universe is filled with vibration and through sympathetic resonance, our personal vibrations can be lifted by the stronger sound vibrations of stones. When our body’s parts, systems and structures are vibrating at a normal frequency, a person is healthy. If a part is vibrating at a frequency which is not in harmony with a person, he or she is unhealthy. 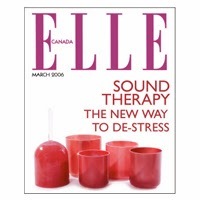 Using music, sound tools, technique and intention, the sound healing can help restore healthy resonance. 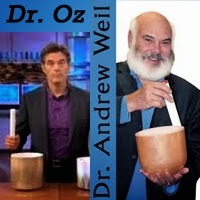 Fusion sonic therapy is recommended by Dr. Oz and Dr. Andrew Weil for improved health and well being. Now, you can bring the transformative power of Fusion Crystal Singing Bowls and healing gemstones and precious metals directly into your sound therapy practices too.